Archive from category "Amazon Advertising"
If you have been selling on Amazon for a while, you have seen a lot of changes in PPC Advertising this last year. From the addition of Product Targeting and Category Targeting (in Seller Central) to Portfolios most recently. It is obvious Amazon is innovating their PPC platform trying to provide sellers with more tools and options for success in selling. In January 2019 Amazon introduced Dynamic Bids as a new bidding strategy for Sponsored Products. If you, like myself, regularly used Bid+ in your Campaigns, Dynamic Bidding builds on this strategy and Adjust Bids by Placement, replacing that technology. Dynamic Bidding provides you with three different strategies to automatically adjust your bids. In this article, we will discuss what this new strategy does for your keyword phrases, and how these bid strategies work so you can implement them into your campaigns to get the best use on your Amazon account. What we will not do in this article (at this time) is discuss our thoughts on how these new bid structures affect Amazon’s product sales rank for the ASIN/SKU you are advertising or how Amazon’s algorithm makes decisions to raise or lower bids when a sale is “likely.” While some accounts have had access to Dynamic Bidding for a few weeks, most accounts gained access January 8th, 2019. These new bidding strategies are too new to provide feedback on how Amazon’s ASIN metrics are treating them definitively. Before we discuss Dynamic Bids, Adjusting Bids by Placement, Ad Placement Locations and the use of all these new features in tandem, let’s address how Amazon applies product listing performance metrics to your ability to display PPC advertisements. Amazon uses verbiage in the explanations of these strategies like “when a conversion is likely” or “if Amazon finds an opportunity for your bid to convert.” Let’s discuss briefly what this means. Amazon had always, we think, used this algorithm or a version of it to lower bids when the winning placement required less spend. However, we know having the highest bid did not always mean you won a top placement. Amazon is a customer-centric, product performance-based platform. If your product offering does not convert as well as another for the keyword phrase being searched for, Amazon is likely not going to offer your product as often for that keyword phrase. 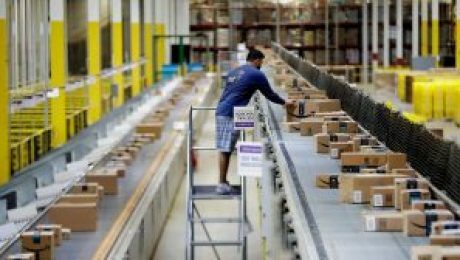 Amazon has now taken this performance-based strategy and applied it to the algorithm allowing it to raise the bid as well. In our opinion, this would suggest that in the past, even though a product may not be the #1 performing offering for a keyword phrase, Amazon would still display their ads in an attempt to check for better conversions on a schedule. Amazon also implemented an add-on feature set to the dynamic bid structure, called “Adjust Bids by Placement.” This new feature is a replacement for the Bid+ setting. Bid+ in the past would increase your bid by up to 50% when Amazon felt the listing would convert for the customer’s search term. Adjust Bids by Placement, takes this feature and provides even more functionality based on the location targets to display the advertisements. To better understand this feature, lets quickly cover where and how the ads display on Amazon result and product pages. Amazon (Seller Central) displays ads on two types of pages, the search result pages, and product or add to cart pages. Additionally, search result pages are broken up by “Top of search” and everything else or “Rest of Search.” Below are examples of the three sections. Top of Search, on the first page, these placements are the two or three (based on category/season) ads shown at the top of the customer search results, first page only. Rest of Search consists of ad placements, not in the top row of a search result page. Specifically, middle of the page or lower, including second page and beyond. These two search ad placements are specifically on result pages and not on the Add to Cart page or Product Detail page. Product Page placements are located on Amazon’s Add to Cart page usually just below the “Frequently Bought Together” section as well as product detail pages. More specifically, not on customer search result pages. Now that you understand some of the factors Amazon uses to display your ad’s and the locations of the ad’s, let’s discuss their new Dynamic Bidding strategies. This strategy may have a new name, but this is the standard Amazon bidding strategy that lowers your set bid to only the amount needed to win the placement if a conversion is likely. I love this strategy in Amazon’s PPC model as it also allowed me to bid $1.00 and pay 0.10c if my competitor’s campaign bids were lower or out of a budget. If you are familiar with or also use Google AdWords, you too love this strategy. However, this bidding strategy also lowers the bid amount if Amazon feels your listing has less of a chance for a conversion (less relevance) or sale against the other bidding products. Clients often ask how a bid at $0.80 could get 100 clicks and have a spend of less than $80.00? Dynamic Bids, Down Only is how that odd spend occurs, Amazon is lowering the bid to match when a conversion is likely. This new strategy as the name states will lower, like “Down Only” but also raise your bid dynamically as well. This strategy utilizes the same “metrics” as Down Only to calculate when a conversion is likely if your bid was higher too. If the Amazon PPC Bid Algorithm thinks a sale is expected at the higher bid amount, it will dynamically raise the bid to win the placement by up to but not more than 100% for “Top of search” page placements and 50% for all other placements, “Rest of Search” and “Product Pages.” Let’s clarify this strategy below. Campaign Bidding Strategy – Dynamic Bids – Up and Down works like this. If your Default Bid is $1.00, Campaign Bidding Strategy – Dynamic Bids – Up and Down would adjust your bid like this. What Amazon is saying here, is this bid strategy will not utilize the Amazon Algorithm to try to forecast or dynamically change the bids based on listing performance/conversion rates. Your listing will compete against others at the spend, per keyword phrase you set. This is a new bid strategy, and I am anxious to see how it performs. 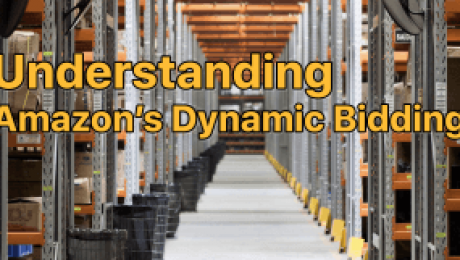 While it does not use Amazon’s algorithm to adjust dynamically, is this bid strategy still delivering your ads on the same performance-based system as the other “dynamic” bid strategies available? “One of the most valuable uses for the fixed bid campaign strategy is on a returning customer retention campaign. Even if Amazon predicts to have a lower likelihood of a conversion you still want to make sure your competitor doesn’t have an ad showing above your listing when a customer searches your brand or product name. If you use dynamic bid down and the competitor is using fixed bid they end up displaying ads on your brand name a lot more often. Amazon has replaced Bid+ with this new feature that provides you with even more ability to allow Amazon’s algorithm to dynamically adjust bids if it feels your listing will convert to a sale for a specific search term. With the old method, Bid+, you could increase the bid dynamically by 50% to capture the placement, if Amazon felt the conversion was likely. With the new, Adjust Bids by Placement, you can now increase your bid, dynamically up to 900%. Adjust Bids by Placement works in conjunction with dynamic bidding as well. There are two settings in this section, Top of search (first page) and Product pages. Let’s explore how Dynamic Bids and Adjust Bids by Placement work when used together. In our first example, let’s explore a keyword phrase using “Dynamic bids – down only” since all your campaigns will default to this setting until you change it. Using the Campaign Bidding Strategy, Dynamic bids – Down Only, setting the Default bid amount to $1.00 and not using Adjust bids by placement (replaces Bid+) your campaign would run exactly as it did before this new feature update. Amazon would lower your bid dynamically when it felt your listing was less likely to convert as discussed from $0.00 to $1.00. However, when you set a value to Adjust Bids by Placement as in the image below, Amazon will begin to dynamically raise your bid as well, based on the following criteria. In the example below, Amazon could raise the bid by 300% from $0.00 to $4.00 for Top of Search, 100% or from $0.00 to $2.00 for Product pages and $0.00 to $1.00 for Rest of Search. Building on the above example, look at what utilizing Campaign Bidding Strategy Dynamic Bids – Up and Down does to our final bid amount when also using Adjust bids by placement. The first level of dynamic bidding, Campaign Bidding Strategy Dynamic Bids – Up and Down will adjust the bid by up to 100% for Top of Search and 50% maximum in “other placements” (Rest of Search and Product Pages). This adjustment would then be added to the values you have set in Adjust Bids by Placement settings, Top of Search, Rest of Search and Product pages respectively. In the below example, our $1.00 bid could be raised to $2.00 for Top of Search or $1.50 for other placements by the Campaign Bidding Strategy Dynamic bid setting alone, Dynamic bids – up and down. But then this $2.00 bid could then be increased by 300% on Top of Search placements or $8.00, and 100% on Product Pages or $3.00 with the final additions to dynamic bidding from Adjust Bids by Placement. Here is how that math worked on the default bid of $1.00. Fixed bids will work very similarly to Dynamic bids – down only, with one exception, your bids will not be able to lower dynamically to $0.00. For example, if we continue to use our examples above and bid $1.00 for a keyword phrase, fixed bids will keep our bid at the $1.00 minimum. However, let’s look at the example below utilizing the addition of Adjust Bids by Placement. In the below example, using fixed bids, and Adjust Bids by Placement, Amazon will only dynamically increase the bids on Top of Search and Product Pages. All other display locations, Rest of Search, will remain at the $1.00 bid amount. In our opinion, dynamic bidding and the addition of Amazon’s location bid adjustments, do not increase a listings ad placement opportunity if it is not converting well for a search term. However, all things being equal, if your listing and others do convert well, these new features encourage sellers to continue to optimize and always push for better conversion metrics, thus providing a better customer experience. If you have questions about optimizing your listings and advertising campaigns to peak performance, please contact Prime Guidance for a free account consultation at info@primeguidance.com. Additionally, if you are looking for a solution that helps automate the optimization of your advertising campaigns, I encourage you to contact Brock Gettemeier of Sellozo at bgettemeier@sellozo.com. Sellozo has helped many of our clients to manage very complex campaigns and sellers to reach higher levels of advertising success quickly and efficiently.